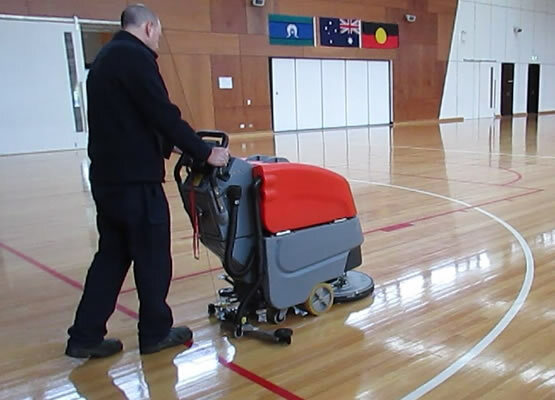 Basketball courts and halls are often the community's first impression of your premises. 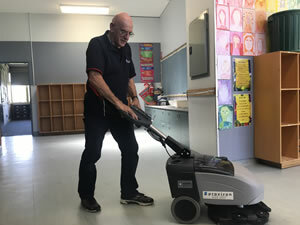 High traffic areas need cleaning and auto scrubbing on a regular basis. 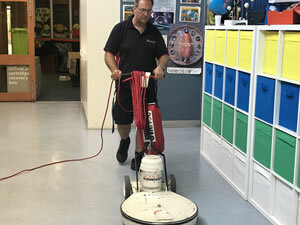 This assists in keeping your floors safe for all users and extends the period between resurfacing. 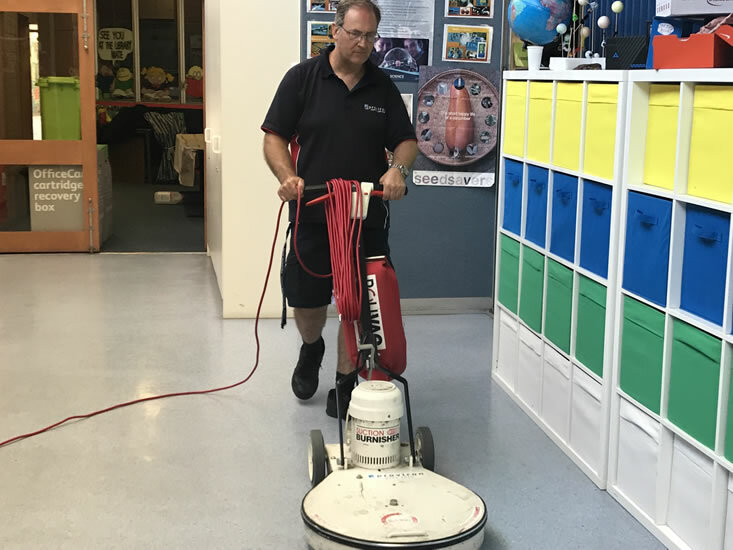 Proviron uses the latest in floor scrubbing technology to scrub large area's with minimal downtime. 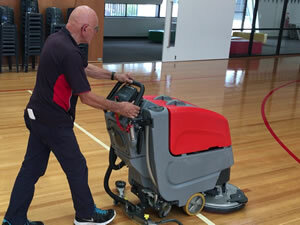 The equipment washes, scrubs and dries the floor in a single pass, leaving a clean, shiny finish every time. 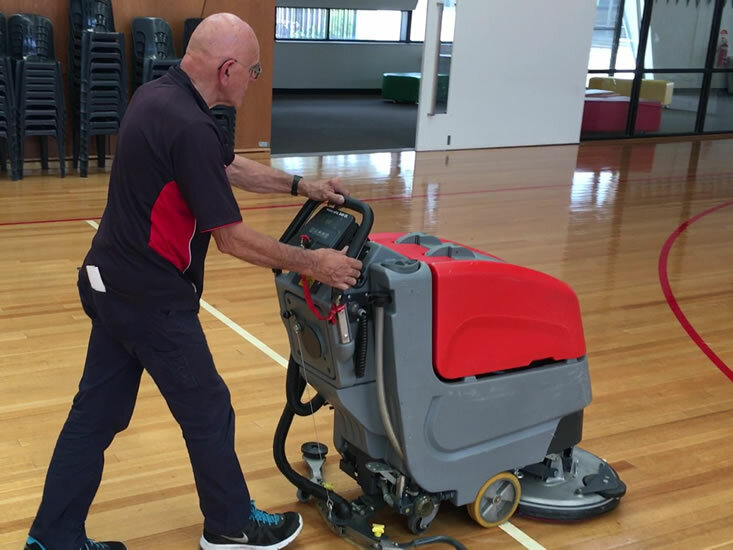 We offer a regular programmed cleaning schedule to keep your floors looking their best. Vinyl floor restoration is another service we offer. 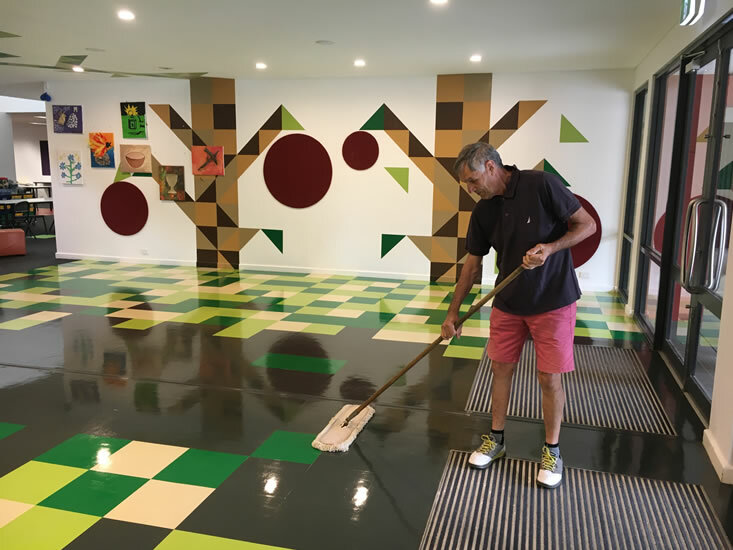 We strip, seal and high speed buff vinyl surfaces leaving a mirror finish.